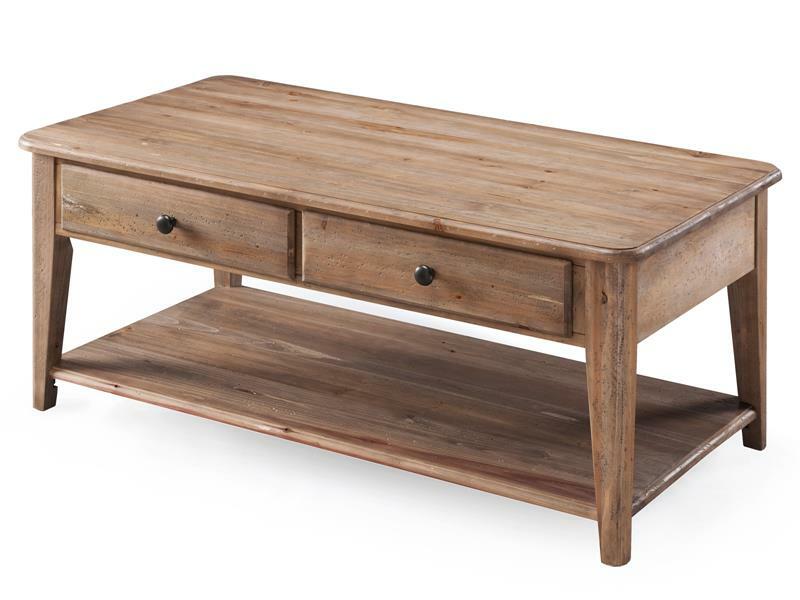 The relaxed and casual barley finish and aged iron hardware offers a variety of tables to suit your cottage or transitional space. Whether a desk, raised top cocktail, accent tables or magazine rack end table are what you are looking for- Baytown offers great solutions and great combinations to personalize you home. All Pieces feature bottom shelf except Round Accent End Table. Cocktail Table features 2 drawers, lift top and casters for easy mobility. Desk Table features 2 drawers on hutch and 2 drawers on base.